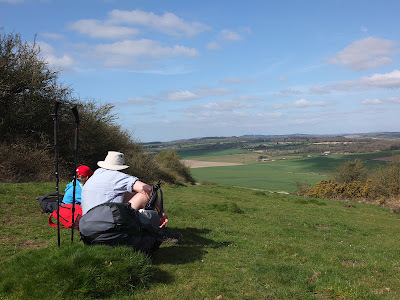 The Wiltshire Backpacking weekend went well.....although most of the route appeared to be in Dorset and not Wiltshire. Howard Kelly was the arranger for the weekend and apparently led the walk on the Saturday. I say 'apparently' because from the moment we set off from our starting point at Church Farm at Sixpenny Handley I didn't see him again till we arrived at our Saturday nights camp at Honeysuckle Homestead at Dinton. If you have ever seen a greyhound leave it's trap at the start of a race, well that was what Howard was like, with what the rest of us dubbed the 'Advance Party' as they disappeared from view. The rest of us formed the 'Rear Guard' and ambled along at a more relaxed pace. The weekend had started on the Friday afternoon with club members starting to arrive from about 1300hrs. 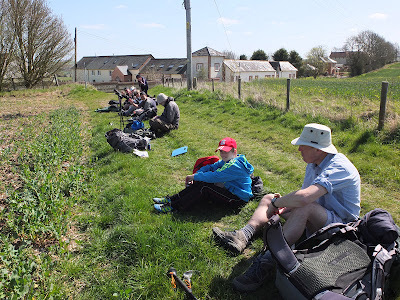 There were about twenty BPC members who arrived at Church Farm for this weekend event and as always it was good to meet up with old friends doing what we all enjoy.....walking and camping combined, or in other words 'backpacking'. 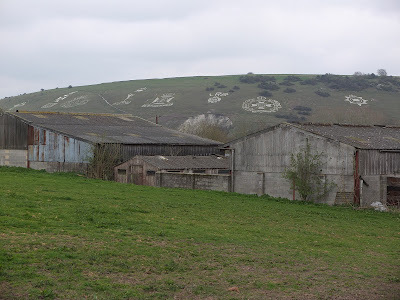 The plan was to walk about twelve miles to Dinton on the Saturday going via the Historic Fovant Military Badges. 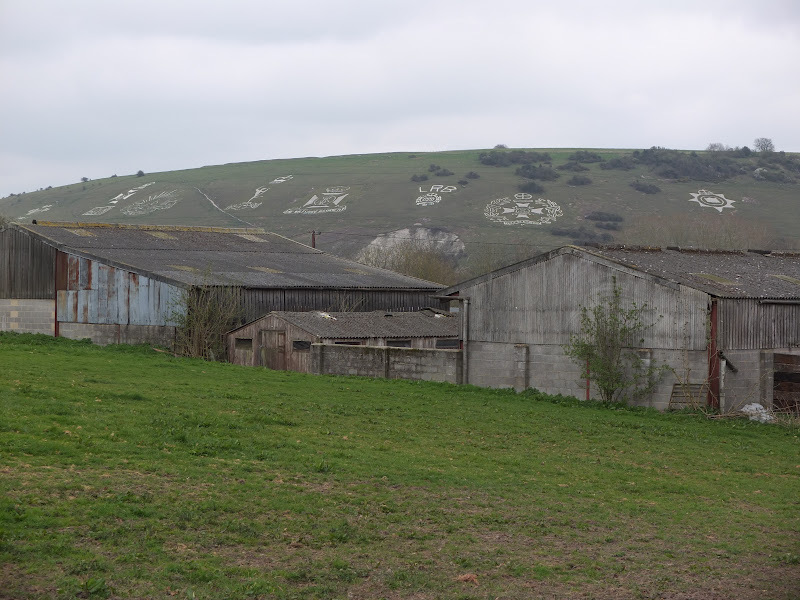 These are military badges carved into the chalk hillside at Fovant in Witshire. 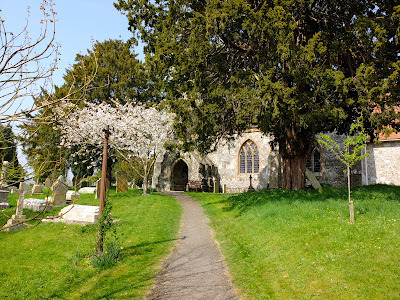 We then stayed at a Camping & Caravan Club certified site on the Saturday night returning to Sixpenny Handley on the Sunday by a slightly different route. A word of thanks must go to John Yale one of our Dorset group members, who had taken the trouble to plan a route for both days and took over as our 'Rear Guard' leader after the advance party had disappeared. 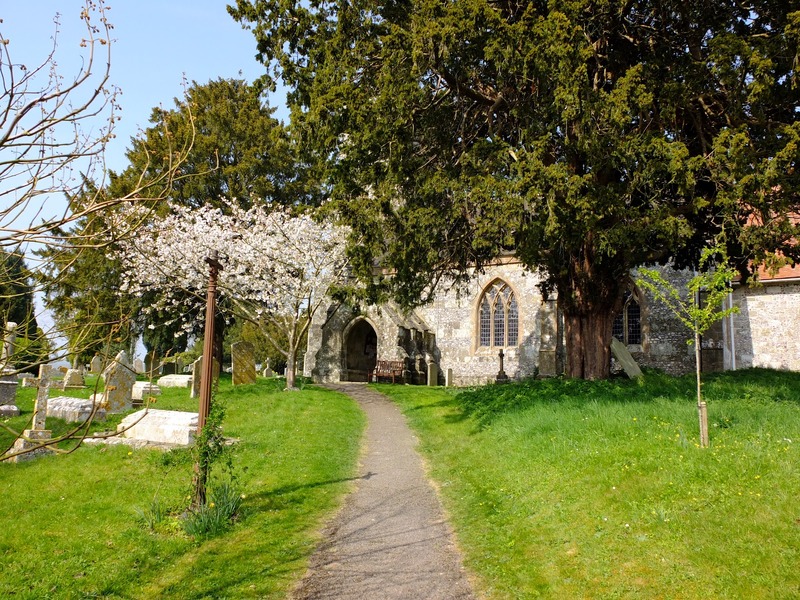 The weather was dry all over the weekend with bright and sunny being the order of the day on the Friday and Sunday and a bit overcast on the Saturday. 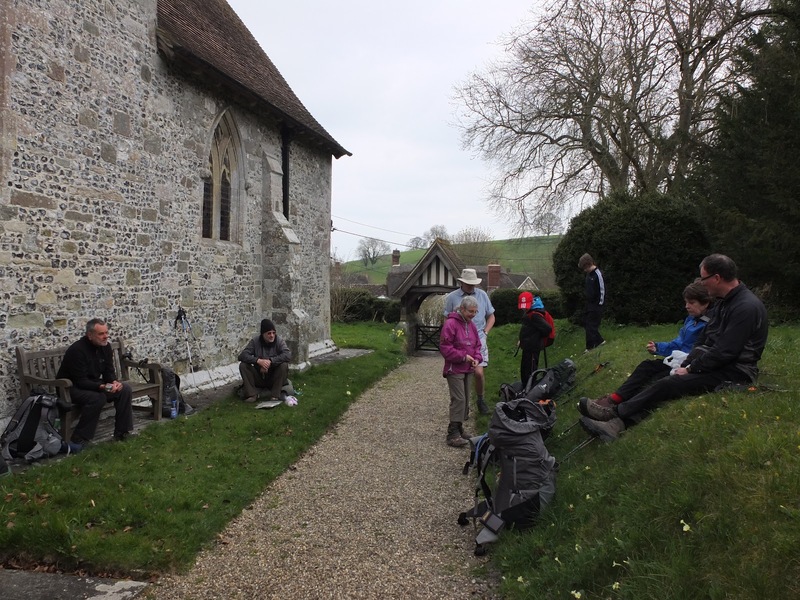 I would also mention that Graham Faithfull the Dorset groups new co-ordinator brought along two of his young sons for the weekend. I am not sure exactly how old they are, but I would guess some where around 10 -12 years old......anyway I would like to comment on how good they were as walking companions....carrying their own packs for the overnight camp they walked the 12 miles in both directions without a hint of a complaint. Wonderful to see future full blown Backpackers Club members of the future. I won't try and cover everything that happened over the weekend.....I'll just say that as always it was a total enjoyment....I have included a few of the photos I took over the weekend just to give you a flavour of the event. What are those that lag behind "the rear guard" called? Sign me up! Though I dunno about that loo. Trevor, looks like a lot of fun and amazing views. I know they are not really necessary any more, but I would carry Ordnance Survey maps on a walk like this, out of pure map love and tradition. Some great names there...Honeysuckle Homestead. Sounds a fun break. Enjoyed the photos! We will call them 'Steve's Snail Team'.....Your name is first on the list. Believe it or not, that 'shed' contained a fully plumbed in toilet and hand basin. It was certainly a lot better than it looked from the outside. Thanks Paul....there were some lovely views. As you say ...some great names. I think Honeysuckle Homestead has a real warmth to it. Oh, I love the photos. I rather like your civilized walks. Brecon Beacons is an area that intrigues me, along with my bucket list walk of Hadrian's Wall. Thanks for sharing. We have long distance trails along both the Brecon Beacons and Hadrian's Wall. I have been lucky to have completed backpacking trips camping wild along both of them. I hope you manage to walk them both as part of your bucket list. The advance party are the kids who sit at the front of the class, and in the main consist of the earnest swats. The back of the class is where the real action happens, "Go, the rear guard!" - much more interesting company and you may learn how to make a pea shooter! Yes,now I come to think of it I was always at the back of the class.